Watch free online videos for toddlers, including this episode where dump trucks deliver parcels! 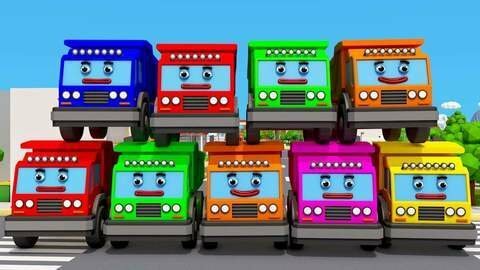 Orange dump truck must deliver a parcel to the garage in this 3D car cartoon for toddlers. Can he drive into the right garage? Toddlers learn five colors in this fun video, including orange, red, blue, black and grey! SeeZisKids.com has this episode and more!